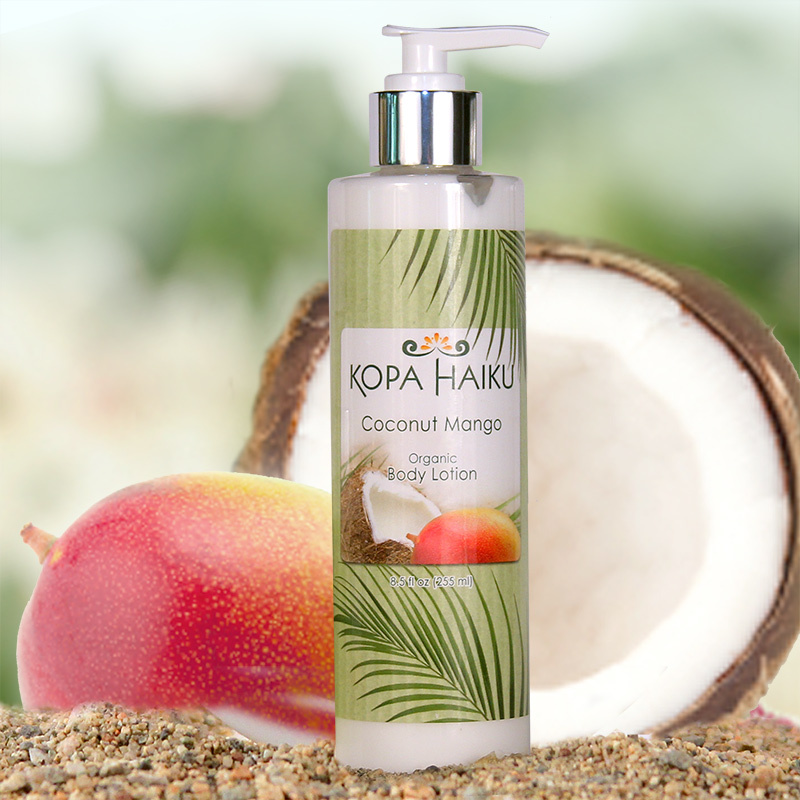 Made of natural oils and other ingredients, our light and creamy body lotions will nourish and moisturize, giving you soft, beautiful skin that will glow like sunshine on a beautiful Maui day. The coconut, arriving long before the first Polynesians ever made Hawaii their home, has become one of the most useful land plants in the world. Its clean, fresh smell lends itself perfectly to the mango’s sweet smell to create a deliciously blended tropical aroma.